Mother and Child - an apt image for this extraordinary lamp made by Top Light. 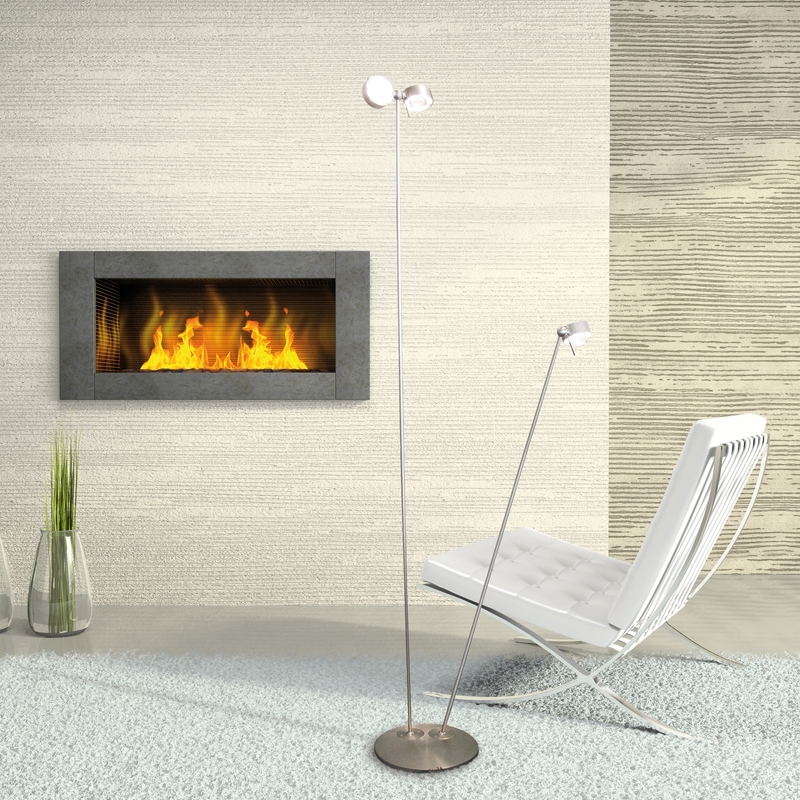 Two lights arms make PUK Floor Mother-Kid to its versatile floor lamp. The small arm can serve as a reading arm, while equipped with two lamp heads second arm is responsible for the lighting of the environment. Top Light PUK Floor Mother-Kid is like all Series lights PUK configured in many ways to create unique lighting effects. In addition, the position of the read arm when ordering can be determined freely. The three lamp heads are supplied as standard with the same filter and lens combination (as specified by you on this page). But on request it is also possible to configure the individual light heads independently. Simply contact us!